The National Center for Human Factors in Healthcare also wants the removal of controversial gag clauses, which prevent clinicians from sharing their perspective on usability issues. Effective software depends on user feedback, with developers rely on a culture of open communication to learn more about bugs and usability issues. That goes electronic health records too, and MedStar Health is showing, not telling, how they could. The MedStar Health National Center for Human Factors in Healthcare, in partnership with the American Medical Association, has launched a new advocacy website, EHRSeeWhatWeMean.org, to highlight for vendors some of the the usability challenges clinicians grapple with every day. On the website, MedStar hosts a series of videos showing how poor UX can present various risks to patient safety and can hinder quality of care. It also decries the gag clauses, often contained in contracts between EHR vendors and their healthcare system customers, that can prevent healthcare providers from openly discussing workflow challenges and proposing solutions. "EHRs have introduced new kinds of risks to the safety and quality of care, due to serious challenges with EHR usability, or the effectiveness and efficiency of using the technology," according to the website. "These well documented issues can lead to clinician burnout and errors that directly impact patient safety." MedStar said that by showing various videos of EHRs in action – and all the workflow, data entry and user interface challenges they can pose – will be a key step in "improving EHR design, development, and implementation to eliminate known patient safety risks and make them easier to use." When users are prevented from sharing their problems with other users, researchers and developers, MedStar argues that EHR efficiency and patient safety are affected. Poor EHR design is leading cause of physician burnout and when technology does not integrate seamlessly into a clinical workflow, it can cause dangerous lapses in communication or the wrong information to be delivered to the doctor. At stake is a battle between EHR developer’s right to keeping proprietary information secret and the clinician and patient’s need for an open and speedy process to document and share issues. "For example, a confusing visual display of medications could lead to a clinician ordering the wrong medication," Or an automatic refresh of the screen that reorders a patient list could result in the clinician selecting the wrong record to view,” MedStar notes on its website. Buggy EHRs, or ones with poor usability, can lead to any number of issues – from the wrong medication being prescribed to a mixup in patient records. Burnout is widespread among users who have to spend significant amounts of time battling with difficult software. In many cases, the EHR was touted as a revolutionary way to improve productivity and deliver better outcomes but in reality satisfaction with the tools are rapidly deteriorating. Sharing data about everything from treatments to EHR bugs is frequently listed as one of the most crucial places the healthcare industry needs to make advances in. 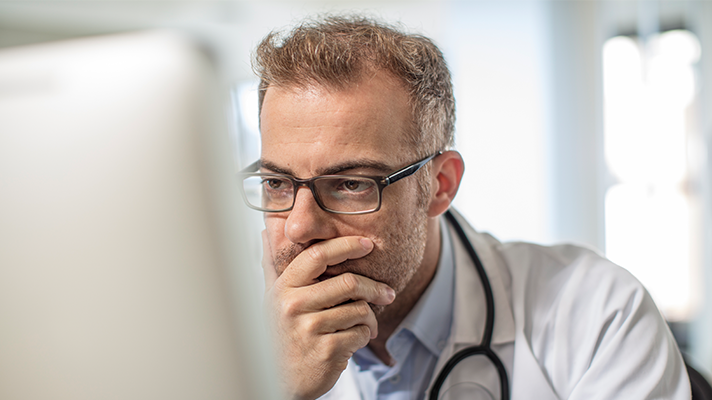 Gag orders between developers and providers are not the only thing standing in the way of improving EHRs but greatly complicate the process of refining the tools every physician must now use over time. In a separate statement, the American Medical Informatics Association pledged its support of the MedStar and AMA campaign, which calls for vendors, providers, policymakers and patients to work together to address these critical usability issues. "We have a fractured and loosely connected system to understand when health IT negatively impacts patient care, how such harms could have been avoided, and what changes to usability, design, and implementation are necessary to mitigate such shortcomings in the future," said AMIA President and CEO Douglas Fridsma in a statement. "This inability to understand how health IT impacts safety across settings of care is why AMIA supports the establishment of a national public/private center, or collaborative, on health IT safety meant to convene, analyze and disseminate information to improve the safety and safe use of health IT."